The Middle East is like a single body. Imbalance in one of the components of the Middle East will inevitably affect the others. We can particularly see that this is the case when we look at events since 2010. The Arab Spring that began in 2011 is of course one of the most important causes of the bloody picture we are seeing in the Middle East today. From Turkey’s perspective, however, the Mavi Marmara incident in 2010 changed the direction of numerous mechanisms in foreign policy. The parting of the ways with our important ally Israel affected other Turkish allies, the U.S. the EU and NATO, in the political sense. It also led to Turkey in one sense being isolated in the context of the Western axis. Israel, on the other hand, lost its only democratic ally in the Middle East, one of its main sources of trade and its most important friend in an area in which it feels under threat. Political earthquakes may strike countries’ social, commercial and security elements, but the effect is generally felt by the people of that country. Tensions in Israeli-Turkish relations also contributed to this dire state of affairs. In the first years of the crisis not a trace was left of Israeli visitors to Turkish shores. Our Jewish citizens gradually looked to leave the country. Much greater changes occurred in the Middle East after 2011. Friendly countries distanced themselves from one another; fighting remained intractable in Syria, Yemen, Libya and Iraq, and sectarian conflicts flared up. This climate inflicted a terrible solitude on almost all countries in the region, not solely Turkey and Israel. Looked at from the Turkish perspective, it has to be said that the inability to see that the region had changed led to a number of false steps in foreign policy. The Middle East was not too sensitive to be able to support traditional policies. The rapprochement between Turkey and Israel that has appeared in the press in recent days has come as a great relief in this difficult time. In fact, the signs of this were seen in the words of Prime Minister Davutoğlu after the election when he emphasized the importance of love. As Davutoğlu implied, a different strategy was needed in foreign policy; a strategy based, not on Middle Eastern traditions, but shaped by democracy. Quickness to anger, sudden severing of relations and branding other countries as enemies are all clichéd traditional Middle Eastern traditions. Democracies, however, issue moderate statements and act coolly before resorting to anger and behave sensibly by allowing a solution to develop over time. They do not act in haste and do things that cannot be made good later, and they do not anger quickly and then regret it later. The democratic deficit between West and East is enormous just from that perspective. Realpolitik is a political way of life we now hear a great deal about, and the reasons for the improvement in Turkish-Israeli relations have been the subject of speculation in that context. Mutual ‘interests’ have been set out. It is true that the foremost reason is that both countries need allies in the region. Reasons such as Israel’s 530 million cubic meter natural gas reserves in the area known as Leviathan being transported to Europe through Turkey, oil from the Kurdish part of Iraq being sent to Israel through Turkey, Turkey’s access to Gaza and the agreement between the U.S. and Iran being regarded as a threat to Israel have been set out. Looked at in terms of calculations of political advantage it is true that this peace will have important consequences in the commercial, military and social arenas. Above these, however, we also need to look at agreements and compromises in the Middle East from a perspective other than that of self-interest. Because the Middle East needs a climate of love more than it does political advantages. This step taken by Israel and Turkey is important in terms of establishing the climate of love for which the Middle East longs. This reconciliation will also certainly have an effect in terms of Gaza. Dror Zeevi, a writer for the Israeli daily Yedioth Ahronoth has said that as a result of this agreement Turkey needs to monitor passage into and out of Gaza, and that this will both ensure Israel’s security and in one sense mean the lifting of the embargo.1 We do not know if Israel will favor such an approach, but an agreement will definitely have a huge impact on the Gaza embargo, Israeli border security and easing tensions between Israel-Gaza. That alone will mean a significant step toward peace in the Middle East. At this point we must also agree with President Erdoğan’s words that; “Israel is in need of a country like Turkey in the region. And we too must accept that we need Israel. This is a reality in the region.” Although security and trade calculations in the Middle East mean that all countries are dependent on one another, what the region really needs is solidarity and unity. For that reason, Turkey needs Israel’s friendship as is does that of all other countries in the region. 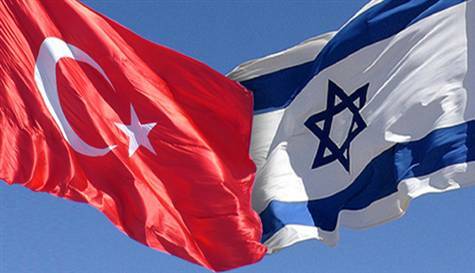 A study by the Mitvim 2 Institude has revealed that the Israeli people favor an improvement in relations with Turkey. However, there are concerns over whether the Turkish people feel the same contentment toward Israel. These stem from the reactions of various hardline and traditional sections that are angered by this rapprochement and seek to benefit from hostility toward the Jews. Let us be clear that these people represent no more than 3% of Turkey’s almost 80 million population, that this view does not prevail in the country as a whole, but that Turkey needs new, modern and more democratic initiatives to prevent these angry voices growing any stronger. The Middle East needs peace and love like never before. In this climate, when we are used to hearing words of anger and hatred, news of a reconciliation is grounds for rejoicing. It is very important for Turkey to next develop and implement strategies to improve relations with Egypt, Russia and Libya. Some people in the Middle East need to stop talking about ‘national interests’ and develop a strategy of ‘growing together with love and brotherhood’ instead. There need to be heroic countries and politicians to eradicate the principle of selfishness that has literally become a normal part of politics. The greatest enemy of hatred and bloodshed is love. We must come together and maintain a policy of building love in the face of some secret state apparatuses’ plans to break up the peoples and regions of the Middle East.